OTTAWA – Photos of Prime Minister Justin Trudeau jogging get picked up and go viral nearly every time one surfaces online, and the reaction is instant. With each one of these moments his supporters fawn, celebrating his discipline; and detractors scoff, chalking it up to a distraction. As these seemingly impromptu images circulate—helping to enhance the image of an engaged and active prime minister—it's not just critics who question just how staged they might be. For an interactive map that pinpoints where the Prime Minister has been spotted jogging, click here, or scroll down. Trudeau runs between two and six times a week as his main form of exercise, according to his office. It helps that his official photographer Adam Scotti is also a runner, and they will often go for runs together when travelling outside Ottawa. 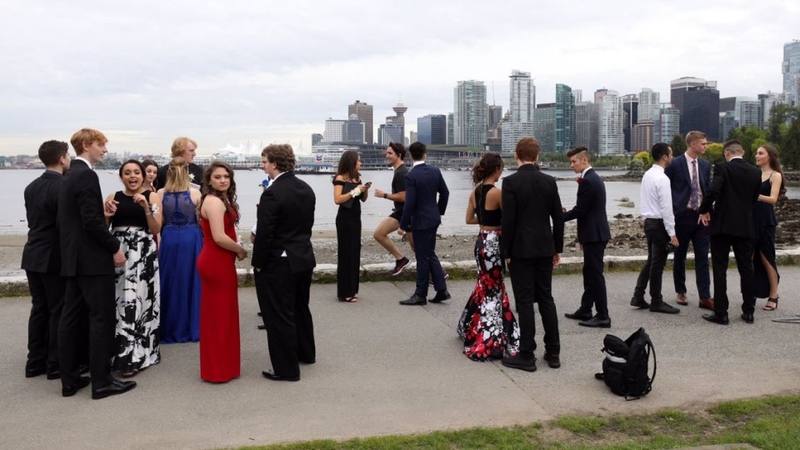 Speaking at a New York Times event last year not long after the photos of Trudeau running past a gaggle of Vancouver prom-goers went viral, the prime minister denied that the moment was staged. Though he then went on to say that Scotti, who doesn’t mind running with a camera on, saw the group of grads ahead of him and started snapping photos as the prime minister ran by. "The kids spotted me and I turned back and said 'hi.' So it’s one of those things that just happens," Trudeau said at the time. A government source speaking on background confirmed that these runs—which happen more often when he's on the road, or even during a layover on an international trip—require advanced planning. Time is built into Trudeau's travel schedule to accommodate these runs, the source said. "I think he wants to continue to do some of what he would do if he were a private citizen… I'm sure he would prefer to jog without an audience or without a motorcade but it's not an option," image strategist and consultant Zayna Rose told CTV News.ca. So, he runs, more times than have been photographed. And while every moment isn't fully orchestrated, his team is aware they make good images and they continue to facilitate his outings. "I can hardly blame them for making use of images that are so strong and so appealing… those pictures don't just play on traditional media, they're all over social media. 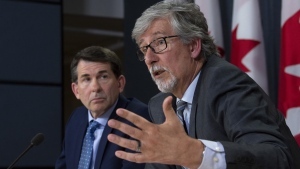 They get tens of thousands of 'likes' and he’s broadcasting an image that's contemporary and appealing," said Patrick Gossage, who was the prime minister's father Pierre Trudeau's press secretary between 1979 and 1985, and founded the PR firm Media Profile. Gossage told CTVNews.ca that, like his father, Trudeau uses his athleticism to his political advantage, citing examples of times where his profile has been raised because of it, like the 2012 charity boxing match against Sen. Patrick Brazeau. "Let's face it, the camera loves these two," he said, referring to the two Trudeaus. "When I was working with his father we played to those camera people. Are you kidding? We made sure Trudeau did things… they show the human side of a politician." Trudeau is not the only politician to use his preferred physical activity to shape their image. In 2013, then-Ontario premier Kathleen Wynne released an ad of her running; and various past U.S. presidents have been known to jog publicly. Men's image specialist Leah Morrigan told CTVNews.ca that the image that Trudeau running gives off runs parallel to his brand of politics. "In a sense he’s an embodiment of a progressive political leader… He’s good looking, he's athletic, he wears modern, well-fit clothes, which gives the impression of being fit, sharp, alert, and moving towards the future," she said. And as Gossage put it, "perception is reality"
Trudeau also appears to use jogging to enhance diplomatic relationships. On a few occasions he's opted to have bilateral conversations while running alongside another world leader, including with the president of Mexico Enrique Pena Nieto in Ottawa ahead of the 2016 Three Amigos summit; in Dublin with Taoiseach Leo Varadkar; and in Griffith Park with the mayor of Los Angeles Eric Garcetti. Other times it's been with members of his cabinet, inner circle, or members of the Canadian military, as seen earlier this month when he visited the troops in Latvia and went for a jog, flanked by fellow runners Defence Minister Harjit Sajjan and Foreign Affairs Minister Chrystia Freeland. Trudeau's spokesperson Eleanore Catenaro told CTVNews.ca in an email that this is about connecting with people in a "more personal and informal setting." Some of these instances have been on the suggestion of the other leader because they know Trudeau's affinity for physical activity, according to a government source speaking on background. "In this case running is kind of the equivalent of golfing to business leaders… it promotes camaraderie," said Morrigan. "It's a kind of diplomacy that very few leaders can exercise, let's face it," Gossage said. Those that CTVNews.ca spoke with say they expect the branding of Trudeau as youthful and energetic is set to continue, in an effort to set Trudeau apart from his competitors. Political marketing strategist and brand consultant Clive Veroni said the origin of Trudeau being publicly framed this way started prior to the 2015 federal election, when as the leader of the third party, his opponents were using his relative youthfulness as a negative, selling Trudeau as inexperienced. Veroni said the Liberals flipped this narrative on its head, turning it into a positive. "So rather than to say he was young and inexperienced, they tried to reframe it as him being young and vigorous," he said. Examples of casting Trudeau as having vigour were the various campaign ads showing Trudeau in motion, whether climbing an escalator, or walking towards the camera. "He was a guy on the move, he had a kind of physical vigour to him in these ads... they're trying to maintain this image of him as being full of youthful vigour and that's become part of his brand," Veroni said, adding that political branding is about setting yourself in opposition to your competitors. He said this brand does offer a contrast to Conservative Leader Andrew Scheer, as it did to former Conservative leader Stephen Harper in 2015. Though with the new NDP Leader Jagmeet Singh, who has a consistent social media presence that brings the NDP to the millennial audience, Trudeau is facing new competition when it comes holding on to the youth vote. It'll be interesting to watch how this "youthful" branding changes, considering Trudeau will actually be the oldest of the three federal party leaders vying to lead the country in 2019. Gossage said that if Trudeau is successful in the next election, the imagery of his jogging will surely have contributed to his win. And if Trudeau continues to pop up in running shoes and a Canadiana-themed graphic tee around the world, it's a good sign that the Liberal internal research is showing that presenting him to the public in this way is still working, Veroni said. But the experts cautioned that like any political strategy that puts your leader front and centre in this way, it has a risk of backfiring. The best example of this was Trudeau's recent shirtless jogging near Cherry Beach in Toronto not long after facing questions about an 18-year old allegation of "groping" a female reporter at a B.C. music festival. Within minutes of the photos and video circulating, critics speculated that it was a naked attempt to distract from the story, while others defended Trudeau, saying it was just practical not to wear a shirt given the heat wave at the time. The marketing experts interviewed for this piece doubted that the shirtless jogging was done solely as a distraction, though they agreed that it’s not unwise to give people something else to focus on in a time of political fire. "Clearly this is all designed for public exposure. The prime minister of Canada does not go jogging shirtless in Cherry Beach, in Toronto by accident… that is all calculated," Veroni said, adding that there’s a fine line when it comes to public opinion. While his supporters aren’t likely to be put off by it, and it’s just adding fuel to the fire for his critics, it’s the people in the middle that he and his team should be mindful of. "I do think they need to dial it back a little bit and be very careful about not overplaying their hand," Veroni said.